At the US Cellular Center in Cedar Rapids, Kaelen MacDonald plays on the indoor coed AYSO (American Youth Soccer Organization) club team from Cedar Rapids. Although soccer practice began Monday, March 11, juniors Jacob Butler and Kaelen MacDonald have been improving technique and critiquing their form for months. Their off-season investments include weight-lifting, attending college practices, participating on club teams, and practicing for hours upon hours. Both boys have attended college practices at Luther and Wartburg and plan to continue doing so in order to keep improving. “I plan to play soccer in college and maybe even go semi-pro, so I have to work on getting better all the time,” MacDonald said. 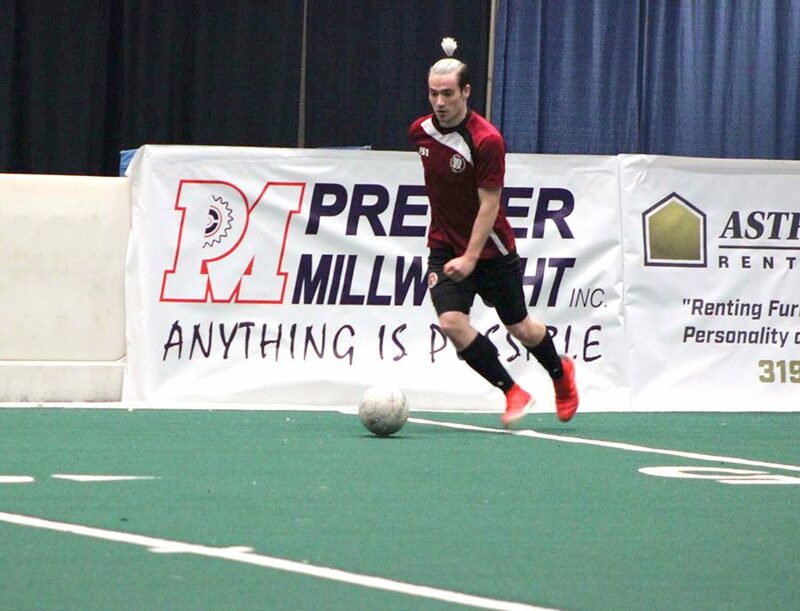 MacDonald recently tried out for the Cedar Rapids Inferno soccer team, a club that comes with a paycheck for playing. “I really don’t feel nervous about my tryout,” MacDonald said. “I’m excited to get the results back.” The team will release the lineup in about two weeks. Playing with different club and college teams has given Butler the opportunity to play with people from all over the world, including New Zealand and Brazil. “Getting to play with those guys is a huge reward to me for all the constant hours I put into the sport,” Butler said.